Much as the internet and smartphones are amazing, helpful, informative etc.etc. more and more people are using them to communicate rather than talking to one another. The result of this is a lack of conversation in public, especially a chat with someone who is alone. 50% of elderly admitted recently to feeling lonely some if not all of the time and it affects younger people too. Some people are also finding they are losing confidence in public situations as they have forgotten or lack certain people skills such as eye contact. 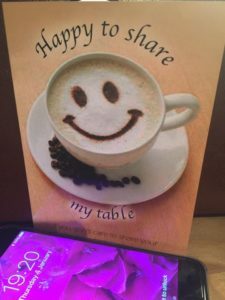 My “Happy to Share” cards have been around for a year now and to me they are still as vital as they were when I designed them and especially at the moment, just after Christmas when people have maybe had time to consider those less fortunate or just more lonely. I have spent some time contacting charities, organisations, celebrities and the media to share the idea with them in the hope they will copy it and make it the norm to see them in public. 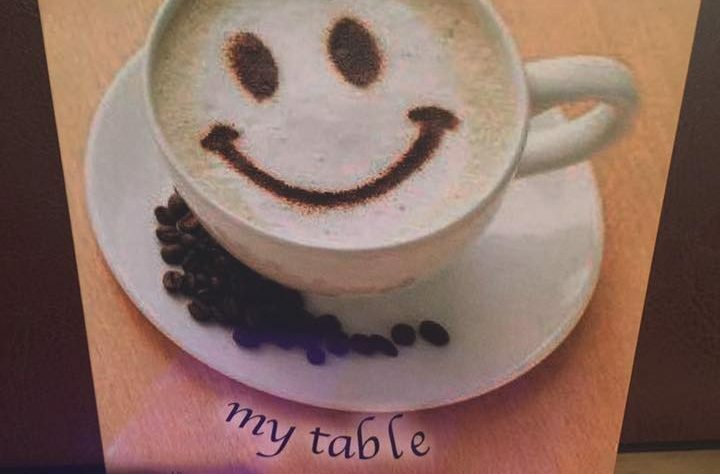 Love this idea – we would love to use the Happy to share my table cards in Bury where I am delivering the Ambition for Ageing project. Have sent a message on Facebook messenger as well before I found this!